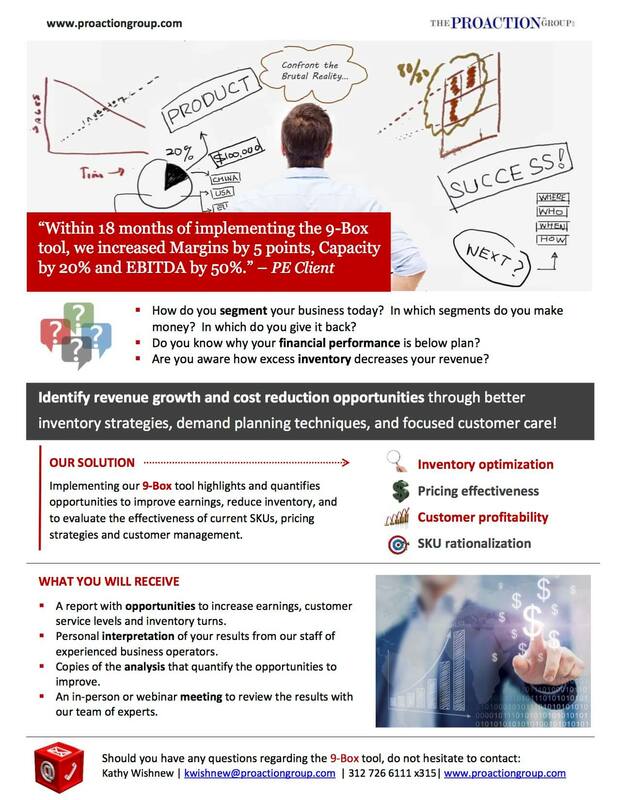 Our proprietary 9-Box™ tool uses your data to identify and highlight actionable improvements to inventory levels, pricing effectiveness, customer profitability and SKU rationalization. We profile inventory in segments based on volume and volatility. The segments are based on Sales, transactions, gross margins and inventory. These views allow for differentiated inventory strategies by segment, as well as identifying pricing inconsistencies and customer management opportunities.